Fellow Member ($200) – Pediatrician or Pediatric Specialist licensed and practicing in Florida. Members of the AAP as Fellows, Candidate member, Specialty Fellows or Post-Residency Training Fellow shall be considered a Fellow of the FCAAP. Fellow members may serve on committees, vote and hold elective office. Associate Member ($200) – A physician or pediatric dentist licensed and practicing in Florida. Associate members of the AAP shall be considered an Associate member of the FCAAP. Young Physician Member ($200) – Pediatrician or Pediatric Specialist licensed and practicing in Florida and 40 years of age or younger. Young Physician members of the AAP shall be considered a Young Physician member of the FCAAP. Young Physician members may serve on committees, vote and hold elective office. Allied Health Professional (PA, ARNP, etc.) ($100) – Any health professional, not stated in another category, who works in the field or specialty of pediatrics. 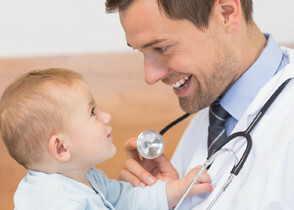 Resident Member (free) – Residents enrolled in a pediatric residency training program. Resident members of the AAP shall be considered a Resident member of the FCAAP. Medical Student Member (free) – Medical students enrolled in a medical school and indicated a career choice in pediatrics. Lifetime Member ($1,500) – Any member who is dedicated to FCAAP membership as a lifelong commitment. Lifetime members may serve on committees, vote and hold elective office. *If you are interested in becoming a lifetime member of FCAAP, please contact the Chapter’s office at info@fcaap.org for more information. CLICK HERE to join both the National AAP and the Florida Chapter for the first time. CLICK HERE if you are already a member of the National AAP and want to join the Florida Chapter. CLICK HERE if you only want to join the Florida Chapter. To join by phone, please call the AAP Membership Department at 866-843-2271 between 8:30am-6:00pm EST / 7:30am-5:00pm CST Monday -Friday. 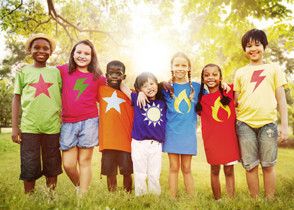 Join FCAAP and become an advocate for kids!